Have you recently been diagnosed with heart disease, suffered a heart attack or stroke or had a stent fitted, bypass surgery or heart valve surgery? If Yes, then this public talk is for you! 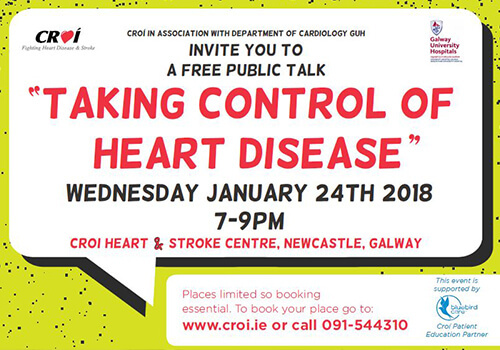 Croí in association with the department of Cardiology Galway University Hospital invite you to hear key speakers in this area – “Taking Control of Heart Disease” includes talk from Dr. Jim Crowley Consultant Cardiologist, Denise Dunne, Specialist Cardiac Physiotherapist and Suzanne Seery, Specialist Cardiac Dietitian. 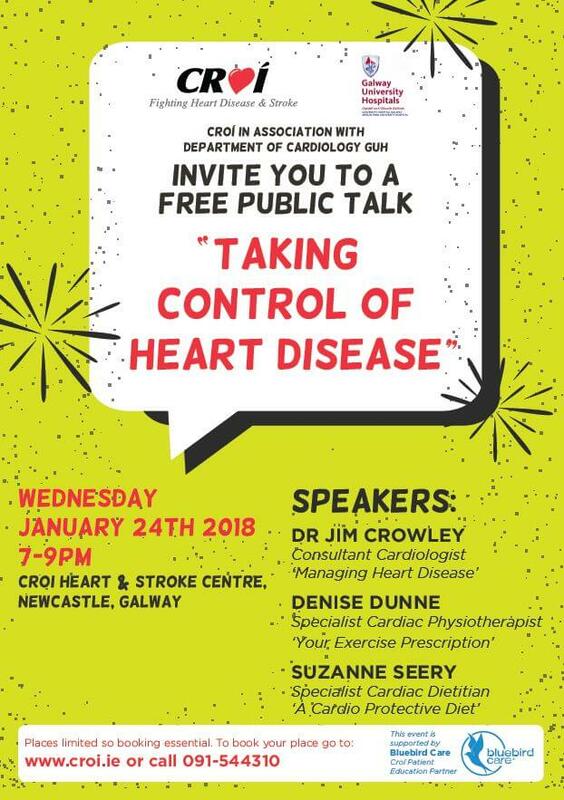 Wednesday January 24th 2018 7-9pm at Croí Heart and Stroke Centre, Newcastle, Galway. Places are FREE but please book in advance by registering here or calling Jessica on 091 – 544310.